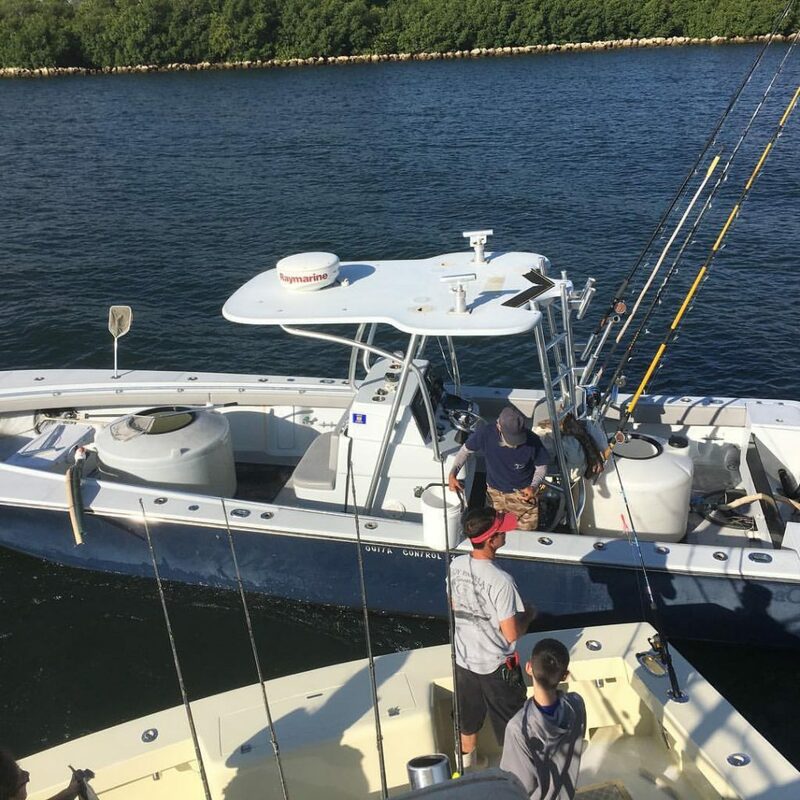 This past thanksgiving week has yielded some awesome catches for our customers on both the sportfishing boat and the drift boats. We had a break in the rough seas and the fish seemed to have responded with feeding on ballyhoo and flying fishing on the surface really well. 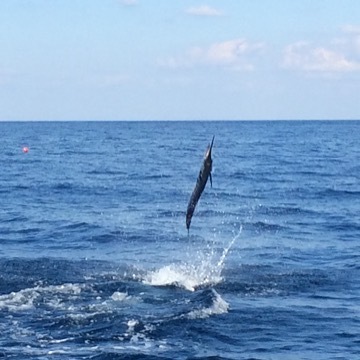 Offshore we have been finding an abundance of baitfish with sailfish tailing up on the surface. Kite fishing has been most effective with live Goggle Eyes or Threadfin Herring. Live ballyhoo has not be the best bait lately, although there are huge schools of them on the reef. We have been getting our bait from our good neighbor “Tim’s Live Bait” to save time and give our clients more fishing time. If you would like us to reserve live bait for you, please let me know. Sailfish are one of my favorite fish we have here in South Florida as they are red hot from the moment they eat the bait, dancing on the surface. 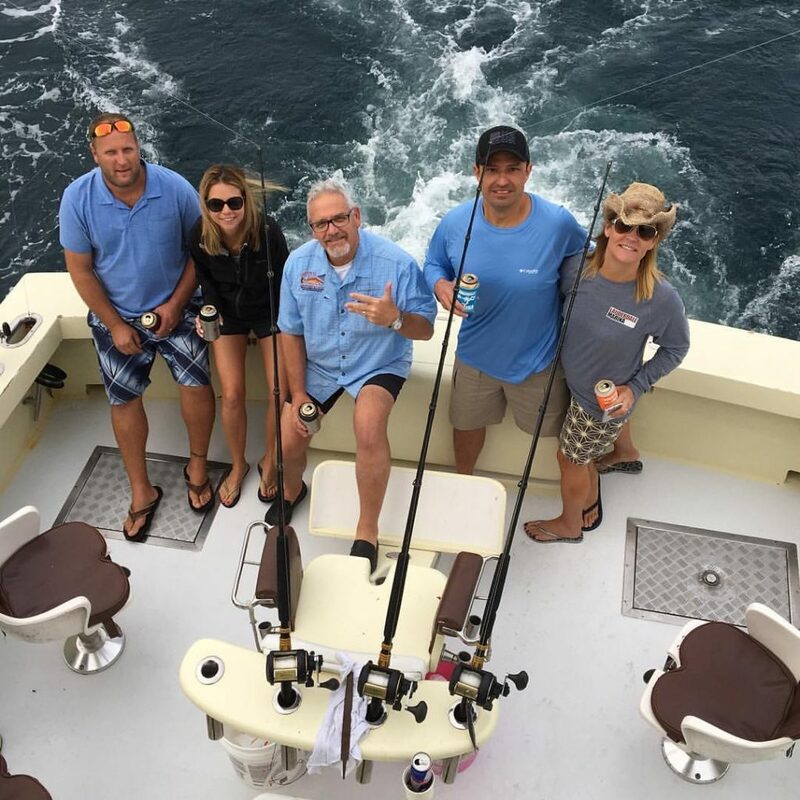 From now until the end of the Spring is a great time to get your first sailfish and on many trips we catch multiple fish or at least have the opportunity. 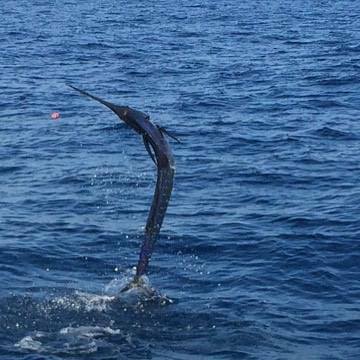 Our customers are always extremely happy after catching sailfish and we love to put them on these exciting gamefish. While kite fishing we have had our share of Mahi, Kingfish and also some wahoo. We usually fish wire on the kites just in case we get a toothy critter coming to steal the baits. That is what is great about kite fishing in that you can conceal the leader and line when the bait is on the surface thrashing. Seeing that bite up top is always thrilling as well. 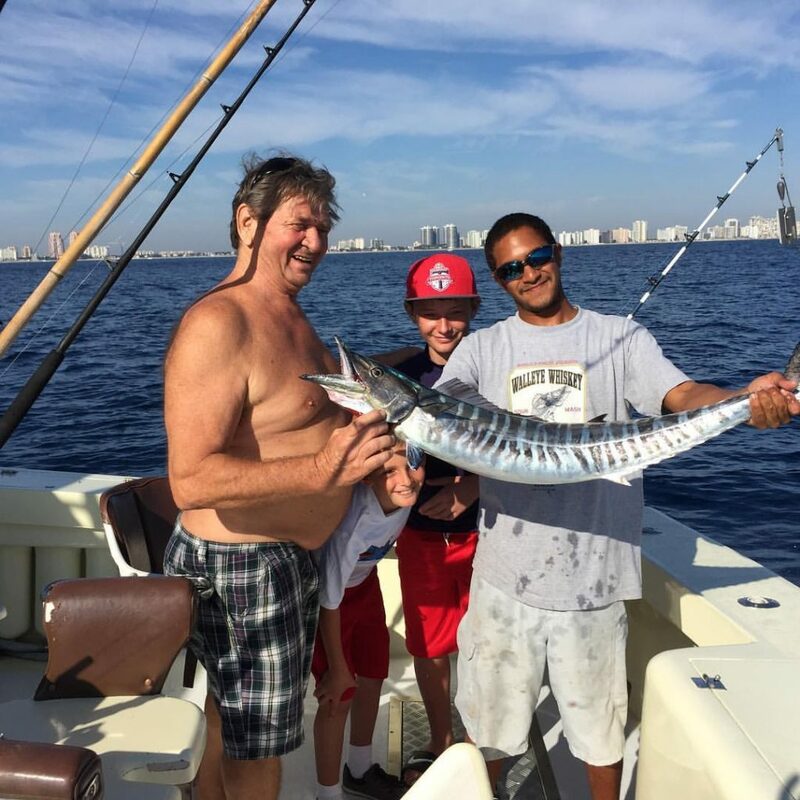 Here is a wahoo that we got lucky enough to get. The drift fishing boat has been crushing it at night! 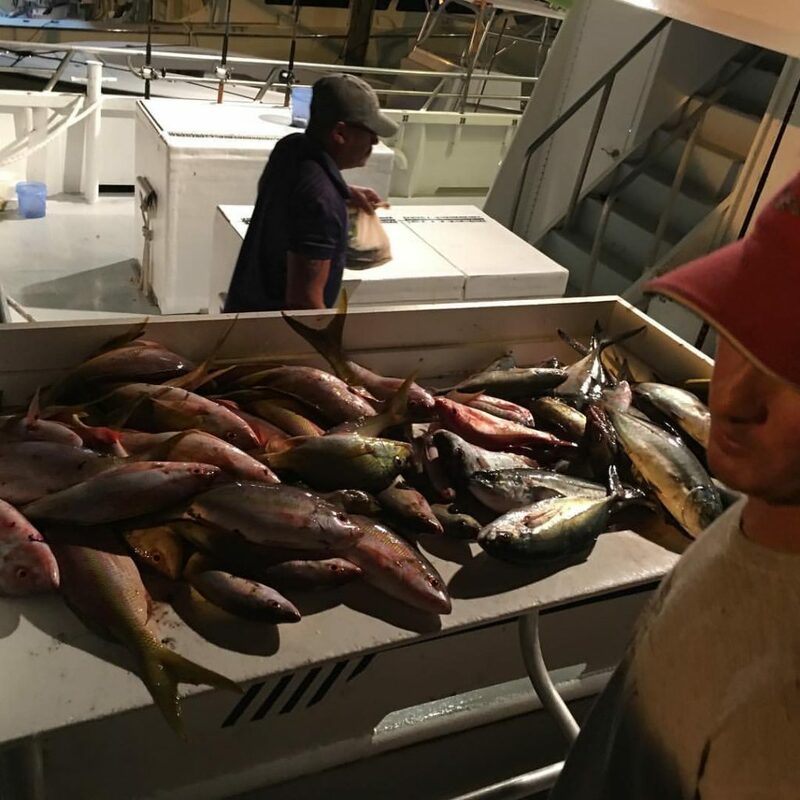 The days are no slouches, but the night snapper fishing has been on fire. While we haven’t had our minimum of 10 people a couple nights this week, we have been going mostly. The yellowtail are coming into the chum quick and they are feeding all night. It is great watching our customers set the hook on some really nice fish and swing them over the side, only to bait up quickly and do it all over again for the entire night. Remember our night trips are 5 hours and we anchor and chum, not drift. This is a big part to our success. 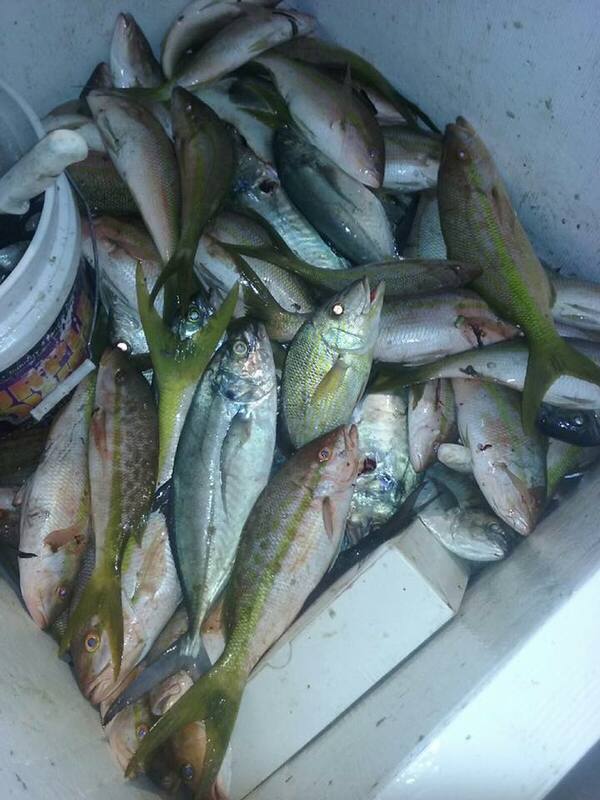 This allows us to get the baitfish at the boat as well as the snappers fast. Some of our customers come rigged to catch live bait and then use them for the snappers. Our mates are here to help you with the best way to get those bites all the time. That’s the report for the offshore boats. On the inside the tarpon fishing has been a little slow. Some of our spots have been really slim, but I expect them to fill in again with the Southeast winds this week and maybe just one more cold front. There is still plenty of mullet around along with jacks and ladyfish and no reason the inlets should not be flooded with big tarpon right now.